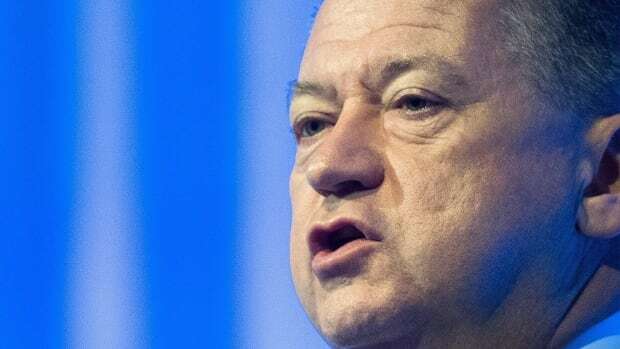 If convicted of fraud and bribery charges, SNC-Lavalin could end up being taken over by another company and its 9,000 jobs in Canada could move abroad, the engineering firm’s CEO told Radio-Canada in an interview today. “If we were convicted further down the line … if we’re barred from doing federal work, then the people doing federal work today will have to do something else. That may be in Canada or it may be outside Canada,” Neil Bruce said. Analysts have countered that argument, pointing out that more than half of those 9,000 workers are currently engaged in multibillion-dollar construction projects that are years from completion, and that it’s unlikely SNC will be prevented from bidding on provincial contracts. He also said that while he never told officials in the Prime Minister’s Office that a federal prosecution would leave SNC-Lavalin vulnerable to a foreign takeover, it’s a possibility. Bruce said that over the past year, the company’s stock value has dropped by 25 per cent. It first took a hit of 10 per cent when it disclosed that its work in Saudi Arabia — where it also employs 9,000 people — was drying up. “So 25 per cent off, in terms of the value of the company, in a period where our earnings and our revenues and our backlog are pretty stable,” he said, arguing that the depressed share price doesn’t reflect the company’s true value — which could make it a ripe target for a takeover bid. Bruce said that he met Conservative Leader Andrew Scheer on three occasions and the Opposition leader was “very supportive” of the company. Scheer has since been tearing into the Liberals daily over the SNC-Lavalin scandal — which was touched off by former justice minister and attorney general Jody Wilson-Raybould’s allegation that officials in the Prime Minister’s Office and elsewhere in government inappropriately pressured her to clear a remediation agreement for the company. In January, she was shuffled out of her cabinet post — a move she said was punishment for not following the PMO’s marching orders. Bruce said he now finds Scheer’s public position on his company difficult to understand. Liberal MPs on the justice committee voted yesterday to end the committee’s inquiry into Wilson-Raybould’s claim. He also said that 82 per cent of the company’s shares are owned by Canadians and that there are advantages to being based in Montreal. But for now, the company’s priority is to build a defence they can present in a court of law.